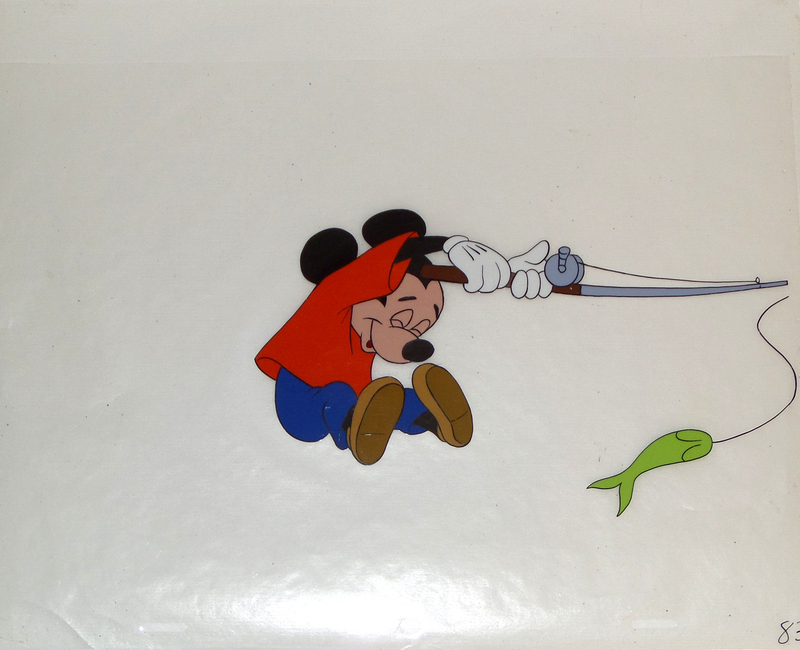 This is an original production cel featuring Mickey Mouse from the 1953 short "The Simple Things". This was the last short produced in the Mickey Mouse cartoon series. The untrimmed cel measures 10" x 12" and the image measures 4.5" x 8".